Home » People Type » Member » Honorary Member » Stanislav Grof, M.D. 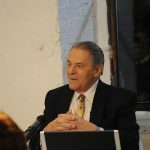 Stanislav Grof, M.D., is a psychiatrist with more than sixty years of experience in research of non-ordinary states of consciousness. In the past, he was Principal Investigator in a psychedelic research program at the Psychiatric Research Institute in Prague, Czechoslovakia, Chief of Psychiatric Research at the Maryland Psychiatric Research Center, Assistant Professor of Psychiatry at the Johns Hopkins University in Baltimore, MD, and Scholar-in-Residence at the Esalen Institute in Big Sur, CA. Currently, he is Professor of Psychology at the California Institute of Integral Studies (CIIS) in San Francisco, CA, conducts professional training programs in Holotropic Breathwork and transpersonal psychology, and gives lectures and seminars worldwide. He is one of the founders and chief theoreticians of transpersonal psychology and the founding president of the International Transpersonal Association (ITA). In 2007, he was granted the prestigious Award >Vision 97< from the Václav and Dagmar Havel Foundation in Prague and in 2010 the Thomas R. Verny Award from the Association for Pre- and Perinatal Psychology and Health (APPPAH) for his pivotal contributions to this field. Since April 2016, he is married to Brigitte Ashauer; they live in California and Germany and conduct jointly seminars and workshops worldwide. Among his publications are over 150 articles in professional journals and the books Beyond the Brain; LSD Psychotherapy; The Cosmic Game; Psychology of the Future; The Ultimate Journey; When the Impossible Happens; Healing Our Deepest Wounds; Modern Consciousness Research and the Understanding of Art; The Stormy Search for the Self; Spiritual Emergency; and Holotropic Breathwork (the last three with Christina Grof).